If you’re injured, participating in physical exercise may feel like it’s out of the question. Most of the time, jumping back into high-impact workouts such as going for a jog may not be the best idea if you’re recovering from an injury. Figuring out how to work around your injury while also recovering may seem unattainable. How do you continue practicing yoga even if you’re injured? Less than 1% of yogis get injuries that cause them to stop practicing yoga. Compared to other physical activities, practicing yoga puts you at lower risk for injuries. Yoga is a very low-impact exercise, with less jarring force being put on your muscles and joints. Staying present while doing yoga is key to properly doing the poses and engaging the right muscles. On the surface, it may not seem like much of a workout, but the poses keep your heart rate elevated, increase oxygen uptake, and use muscles across your entire body—all of which boost your burn. Beyond its more obvious benefits, yoga exercises and poses are adaptable and modifiable for all parts of your body. That way, you can work around your injury and still continue to do yoga. If you have been injured before, it’s important to get the necessary medical care for your injury. If you practice yoga, you can continue to do yoga alongside any physical therapy or medical treatment you’re receiving. But make sure that your physical therapist or doctor signs off on it before you jump back into it, especially if you’ve had surgery. With yoga, you can slowly and safely enter into utilizing different muscle groups post-injury. It has 100s of different poses exploring every joint in the body while also focusing on muscular strength and endurance. If you’ve hurt a certain part of your body, you have the option of continuing to practice yoga by focusing on other muscle groups. You’re able to avoid poses that may be detrimental to your injury. Get out of the mindset that your injury inhibits any type of physical movement. With chronic lower back pain, you don’t necessarily need to avoid positions that have a lot of bending and twisting. As long as you progressively train any type of forward bends, backward bends, triangle poses, or floor twists can be doable and very effective. If you’ve recently injured your back, you may not want to attempt these types of poses just yet. Focus on poses that help strengthen and stretch surrounding areas. With back pain, this may include poses that engage abdominals, hips, or your shoulders. If you have lower back pain, any poses that focus on stretching the muscles around your hips (hip flexors) might be beneficial. You can compensate for a back injury or back discomfort by doing more sitting poses that maintain flexibility in your core through and the center of your body. Depending on how flexible you are in your back, you have the option of doing modified versions of poses you normally do. With back injuries, any backbends are going to be tricky unless you have a strong core. You can modify a backbend, such as a cat-cow, which involves getting on your hands and knees and arching your back upwards and downwards. This might be a bit hard on a painful back, so it can also be done sitting down. You work through the same movements by rounding your shoulders forwards and backwards while putting your hands on your thighs for support. Doing some floor poses using a wall can also be a type of modification. You could modify a cobra pose by sitting with your back against the wall and arching your chest. Downward dog, another common move, could also be modified for back pain by using the wall for leverage. Any type of pose that crosses your hips, such as the pigeon pose, should be modified if you’ve had a back injury. For pigeon pose, you could try doing the same movement while lying on your back and crossing one bent leg over another bent leg. If you still want to try the movement while sitting up, you could prop your bent leg on a cushion or block for support. Breathing through your movements is another core component of yoga that has benefits for recovery. As an underlying tenet of yoga, breathing is a big factor when it comes to working through the poses. Harnessing your breathing pattern does more for your recovery than you may think. It promotes proper healing on a general level by regulating your circulation and blood pressure internally. The slow, deep breathing patterns that are taught with yoga relax specific natural reflexes that automatically contract the muscles. An injury will begin to heal on a biochemical level by getting your blood flowing the right way. 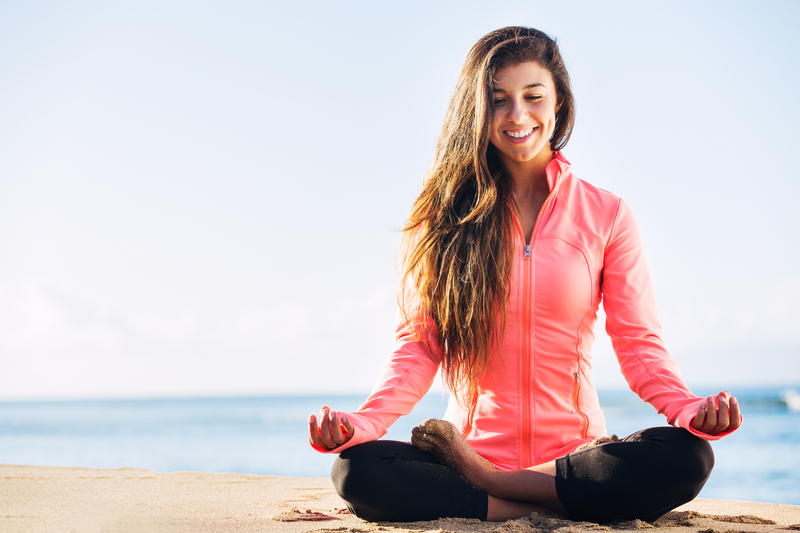 Incorporating yoga into the recovery processes has its unique physical rehabilitation benefits. If you’ve never done yoga before, know that practicing at any level can effectively create flexibility and strength across all of your joints. Becoming familiar with the terminology and having correct form is key. Your physical therapist can give you more information on what types of movements you’ll be cleared to do and improve your technique if you’re interested in applying yoga to your wellness regimen. With any type of rehabilitation exercise, make sure you’re getting the one-on-one guidance you need with a physical therapist or a certified yoga instructor, especially if you haven’t practiced yoga before. Our physical therapists can direct you in the right direction when it comes to practicing yoga with an injury. Call or schedule an appointment online with us for an evaluation to get started!